The John S. and James L. Knight Foundation followed up its seed funding of FIU’s CasaCuba – an initiative to harness the University’s Cuban cultural and scholarly resources – by announcing a $2 million grant on Monday. Last year, CasaCuba received initial funding from Knight Foundation to hire an executive director and launch operations. 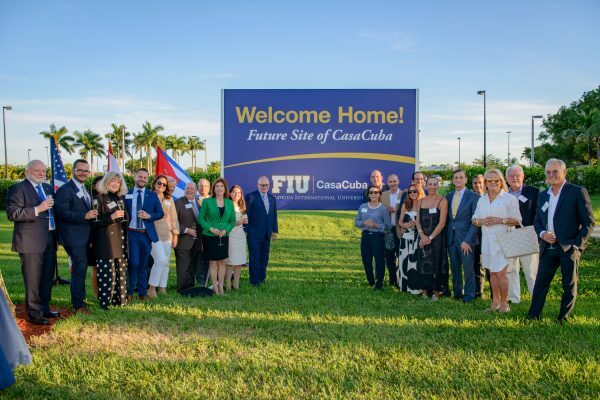 Working in collaboration with CasaCuba´s Board of Advisors, FIU has set a $50 million fundraising goal to build and operate a 50,000-square-foot home for CasaCuba on FIU’s MMC campus. The new support is part of a $37 million investment that Knight Foundation made on Monday to further strengthen Miami’s arts and cultural ecosystem, bringing its total funding of the sector to $165 million since 2005. FIU’s CasaCuba was one of 22 organizations that received support. “There is no one Miami. This is a region that has been shaped by many people and cultures including its deep ties to the Cuban diaspora. CasaCuba’s work will open a window into the diverse community that has shaped our city and our country in many ways, helping to connect us to place and to each other,” said Alberto Ibargüen, president of Knight Foundation. For many years, FIU has been one of the nation’s leading universities for the study of Cuba and the preservation of the Cuban heritage. CasaCuba will leverage FIU’s numerous Cuban resources, including the largest nucleus of faculty specialized in Cuba, through initiatives spanning the areas of education, research, discussion, and the arts. The center also will serve as a meeting place for conferences, exhibitions and performances.